This year we have implemented writing binders into our kiddos took kits. We've had writing folders in the past that the kids have used for writers workshop, and we've used a variety of personal dictionaries, both purchased and created. This year our school has gone to a school-wide science focus, where each month we are all focused on the same theme, with the same set of vocabulary words. You might go more in depth, or just introduce them, according to to your grade. We've previously posted our habitat vocabulary words HERE. If you like our vocabulary sheets, keep watching. (We will be posting them as we do them.) So this year we thought we would try to combine their vocab with their writing folders. 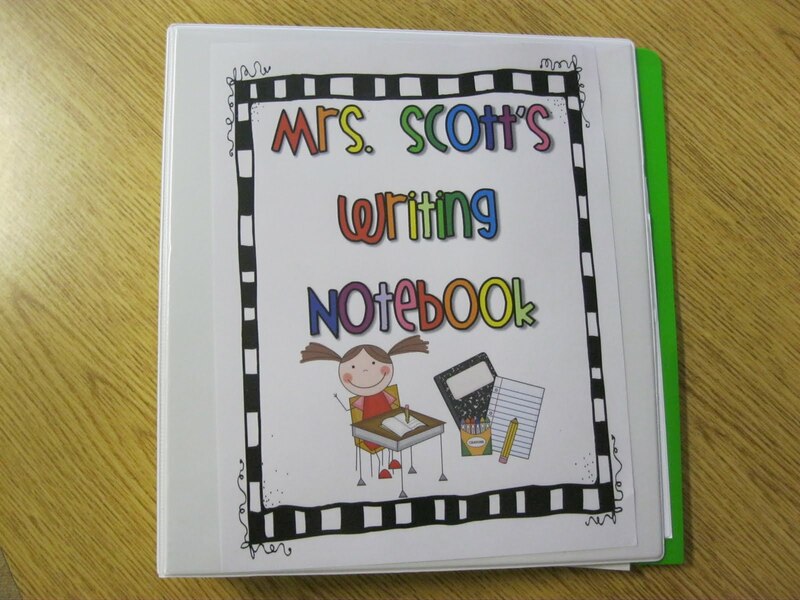 Take a look at our writing notebooks! The cover of our notebooks. Like the cover? Click HERE to get your own, as well as b/w versions for your students. On the inside pocket of their notebooks the kids have these fabulous personal word walls to use for words they need help with. We don't use these for word wall words, since they already have those (later on), but just for any other words they want spelled. These were pretty cheap and should hold up pretty well. Next we've put their plastic folders that they use for writers workshop. The go side is for work they are still working on, and the stop side is for work that they've finished. Once a week or so we share our writing, they turn in their best piece, and take the rest home. Click HERE for our stop labels and HERE for our go labels, which fit Avery Labels 8160. Next is our first grade study guide. 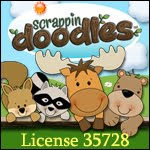 This has their word wall, letters and sounds, color words, months, days, and even some math words. You can find these HERE if you'd like your own copy. We keep these in page protectors to really protect them all year. We have included our writing reminders in a page protector as well. We also have these as smaller book marks that the kids can keep in the back pocket, or take home for extra help. Find our writing reminders HERE. Last is where our firsties keep their vocab pages. (I apologize that this picture won't turn. It's refusing, and and is driving me CRAZY!!!) We'll continue to add these throughout the year. Thanks for taking our tour of our writing notebooks. How do you handle writing in your classroom? 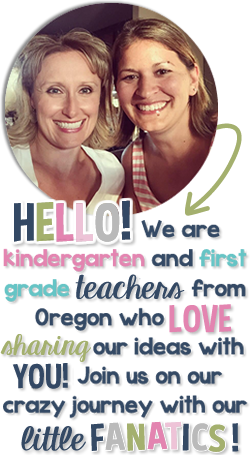 If you haven't already been over to visit Anna at Crazy for First Grade, head on over. We were guest bloggers today, and we have some great freebies for greater than and less than. Have a great weekend! We have a day off tomorrow so we get a 3 day weekend!!! Hello! 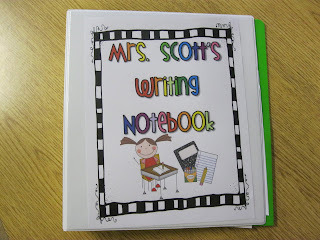 I would LOVE a copy of your writing notebook freebies! When I try to open them in google docs it tells me that I am unauthorized... so weird! Could you email them to me? My email is Jen1204@aol.com . If you could I would sincerely appreciate it! Im having the same problem! Could you send me the freebies too? They are great! My email is jaclyn_birkholz@yahoo.com. Thanks!! I would like to have the freebie too. It wont work for me either :( Thank you! Can I also get a copy?? I can't open the link. I would LOVE a copy of the first grade study guide!! Could you send me a copy.. staffordl@me.com. It won't let me open it. Thanks!! Do You Use a Behavior Clip Chart? It's Fall & It's Time For a Giveaway!